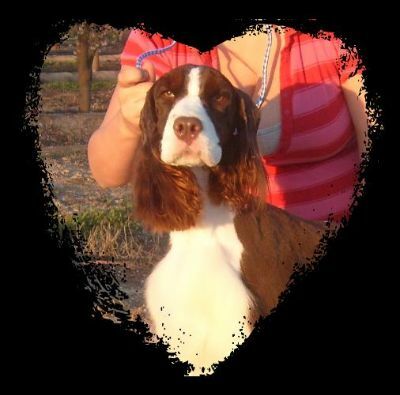 Although he is not in our breeding program, he is waiting to be in someone's family - and heart. Driver's structure and attitude are wonderful. He gets along with other dogs, cats adn babies/children. 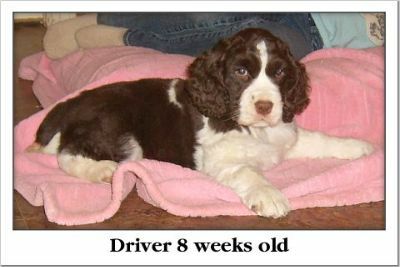 "DRIVER" was born on 11/24/07 - the ONLY puppy! 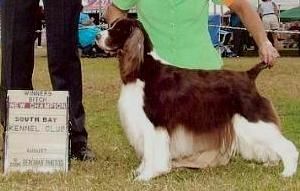 We are excited about this breeding of our girl Keeli to "Tuggy" - one of the top Springers in the country! 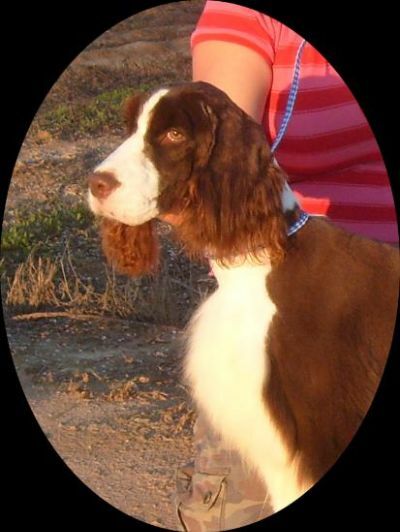 Tuggy won AWARDS OF MERIT at Westminster and the Eukanuba shows in 2006/2007, and also at the 2006 English Springer Spaniel National. 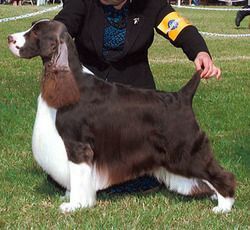 He has won Best In Shows and Best In Specialty Shows. At 8 weeks old, he's already learning to be a show dog! Gee, They look comfy! Driver and Marble. 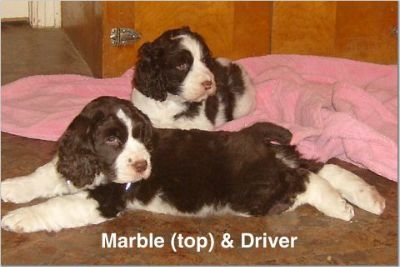 (Marble is a Junior x Binnie puppy). Driver and Marble were born 1 week apart. Keeli is Driver's mom, a very nice Multi-Champion titled Liver/White girl. 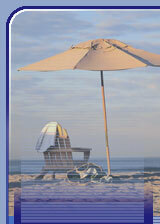 You can see more photos of Keeli by clicking on her picture. OFA Excellent hips, clear eyes (CERF), OFA normal elbows. PLUS, she SINGS and DANCES! (really!). 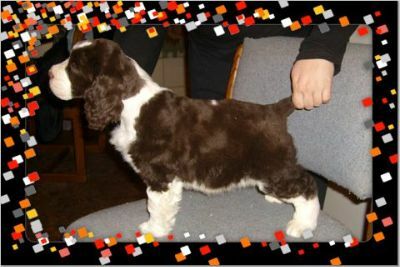 Am CH Silverhill Sea Dog Go. CLICK HERE to go to the AKC site to see photos of TUGGY. Owners Julie Kay and Rhonda Groves don't have a website. 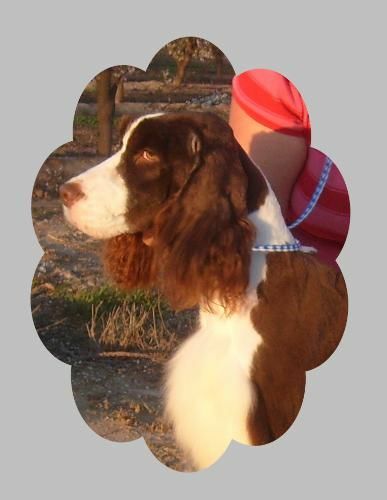 Go to the Spaniels (English Springer) section and click on Tuggy's name, "CH SILVERHILL SEA DOG GO".